We do have ProSweet available for any late feeding. Starting November 1st, our hours will be changing. This is how I winter my bees. 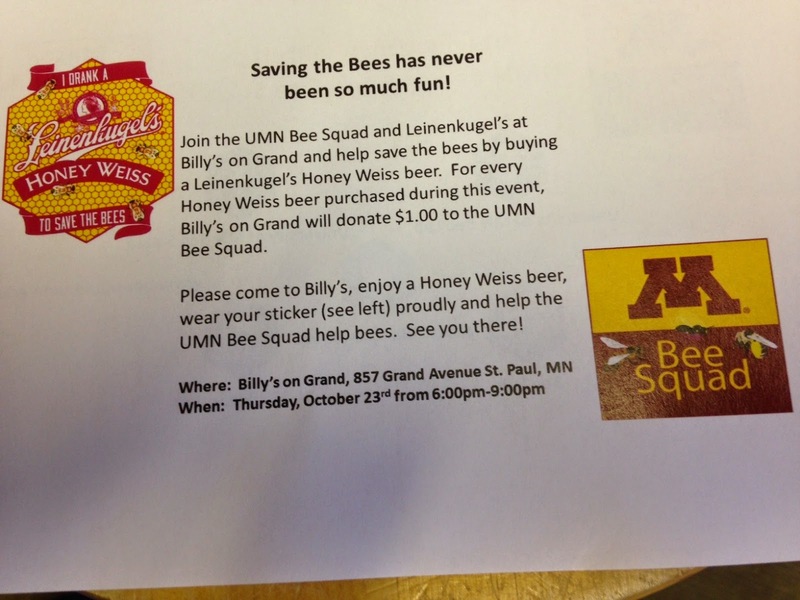 I learned this from attending the Univ of MN Beekeeping Short Course 25 years ago. It worked then and works to this day. Now we have mites to contend with. There were no mites 25 years ago. I usually put my covers on around Thanksgiving. If we are slated to get several inches of snow before then, I put the covers on before it snows. Once there is snow on the ground it can get quite cold and the bees need the covers on by then. I have had a few phone calls from beekeepers that told me all their bees absconded from their colonies. The bees were gone or had very few left and the hives were full of honey. Hives that display this type of behavior, are bees that have very high levels of Varroa. In fall, a beekeeper looks at their bees and they look great, three weeks later they look again and all of the bees are gone. This is not colony collapse, it is Varroa. Treating for mites in August could have prevented this from happening. I had a lengthy conversation today with Ray my package bee supplier. He was telling me about his year. California as you know is in the grips of a devastating drought. There is nothing growing unless it is irrigated or a cactus. Beekeepers normally could depend on honey from Yellow Star Thistle for a honey crop. But with the drought, there was no honey crop. He has been feeding his bees for a large part of the summer. A week doesn't go by with out having a tanker truck of bee feed making a delivery. He did comment that his bees look very nice. Strong colonies and he has been able to keep his mite count low. Without plants blooming he has also been feeding pollen to the bees. He did move several thousand colonies out of state and the bees he moved did make some alfalfa honey. Not a huge crop but enough to make the colonies heavy and some local pollen. We talked at length about package bees for next year. He does see an increase coming to package bee and queen prices for the 2015 season. There was some discussion of how much it might be, but he said it was too early to put a number down. Ray said he wanted to tell Wendy and I early so we could pass the information on to our customers that there will be an increase. The time is running out for feeding. The next week looks good for temperatures. The bees should take the feed down still. It could be a cold winter according to future forecasts. So a heavy hive should be a good hive. I will have more ProSweet now.